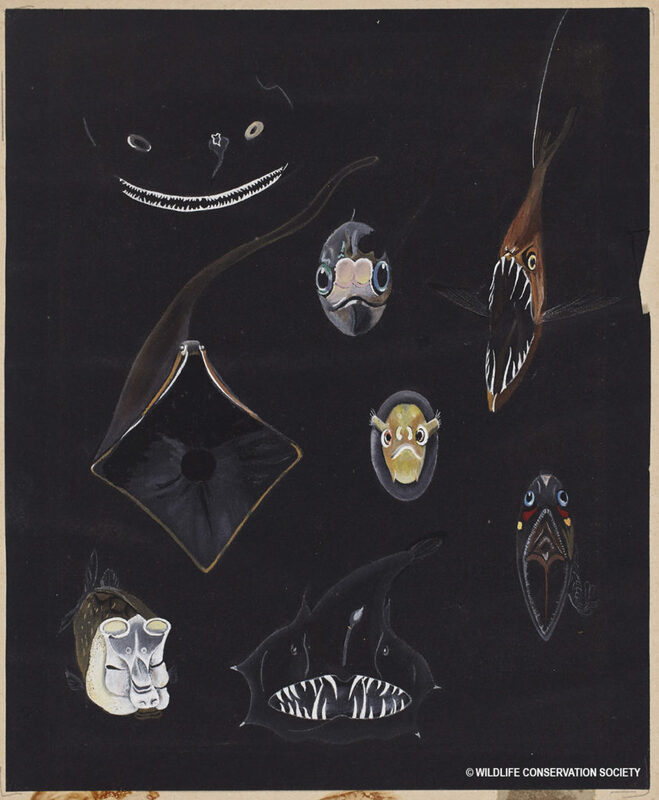 Wildlife Conservation Society Archives. Collection 2016. 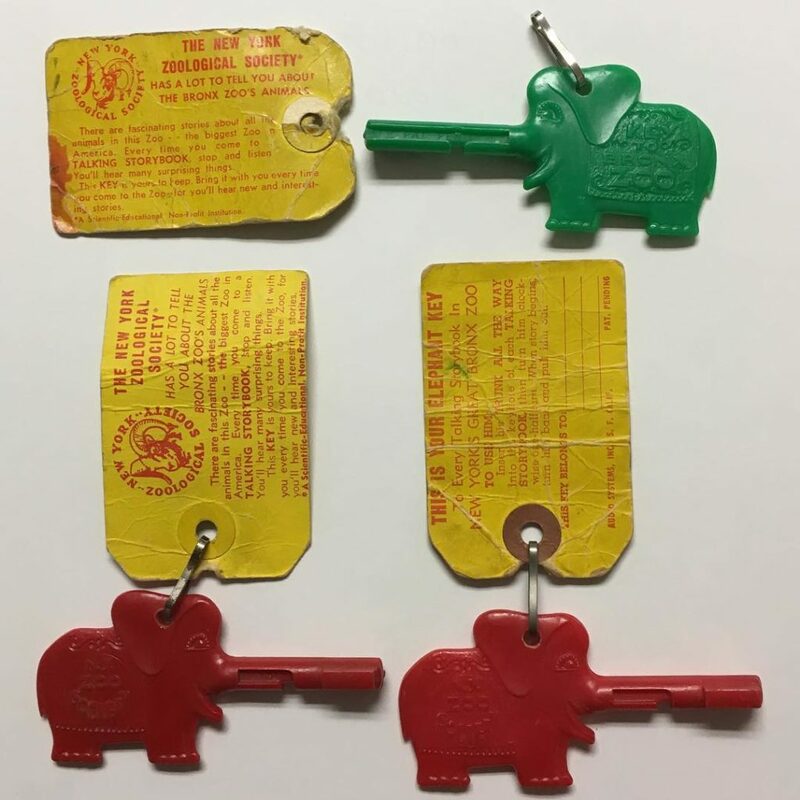 The elephant keys unlocked “Talking Storybooks,” which were installed in zoos, including the Bronx Zoo, in the 1950s and 1960s. Once unlocked with elephant keys, the Talking Storybooks played recorded stories about animals found around the zoo. Does anyone still have theirs? 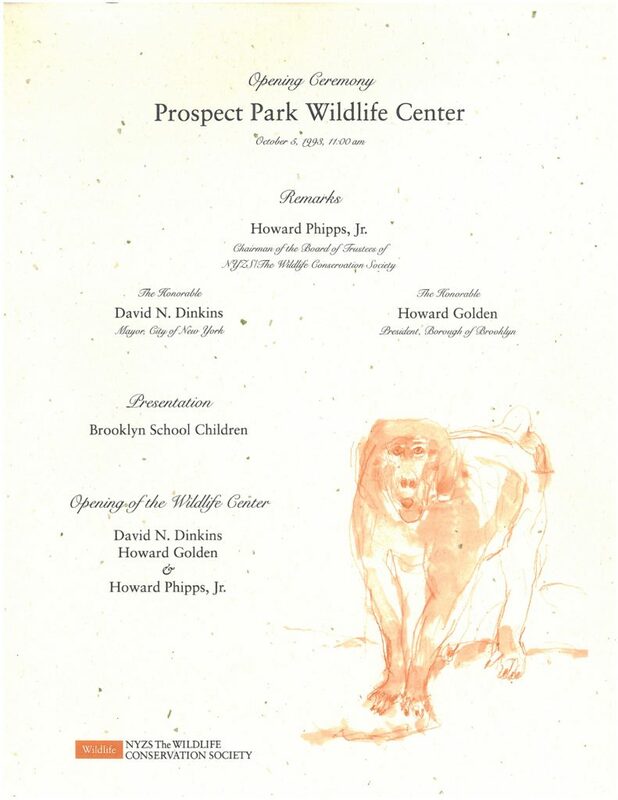 Happy 25th Re(Birthday) Prospect Park Zoo! 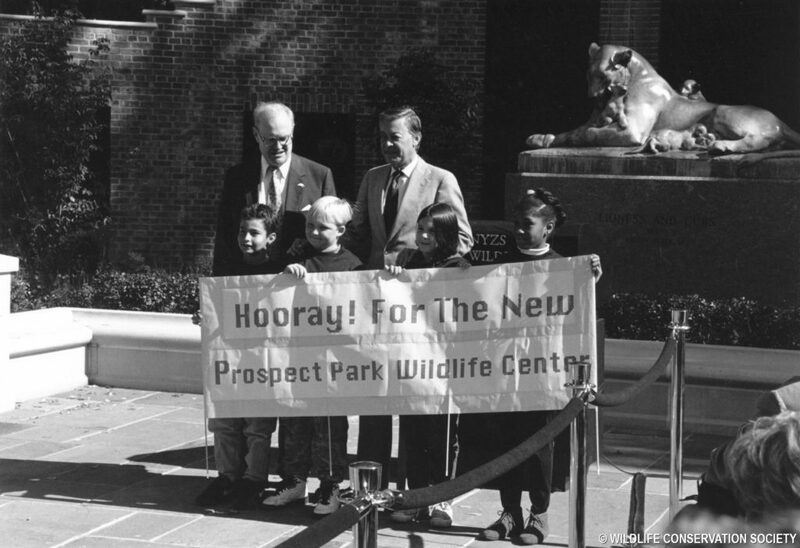 On October 5, 1993, Prospect Park Zoo reopened under the management of WCS. The renovation of the Prospect Park Zoo was the final component in WCS’s City Zoos Project, following the revitalization and reopening of the Central Park and Queens Zoos in 1988 and 1992. 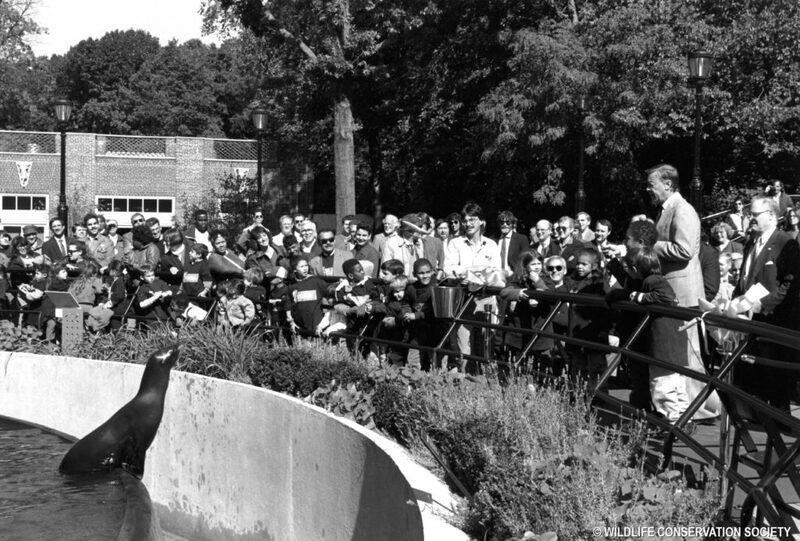 The Prospect Park Zoo was officially opened by then Brooklyn Borough President Howard Golden throwing the inaugural fish to the sea lions while Society Chairman Howard Phipps Jr., Parks Commissioner Betsy Gotbaum, and the crowd looked on. The original Prospect Park Zoo started in the late 1800s as a menagerie and formally opened as Prospect Park Zoo, under New York City management, in 1935. After management transferred to WCS in the 1980s, renovation of the park began in August 1989. Architectural elements and the original layout were preserved while the exhibits were replaced with natural habitats for the animals. Larger animals were moved to the bigger zoos while small animals remained.